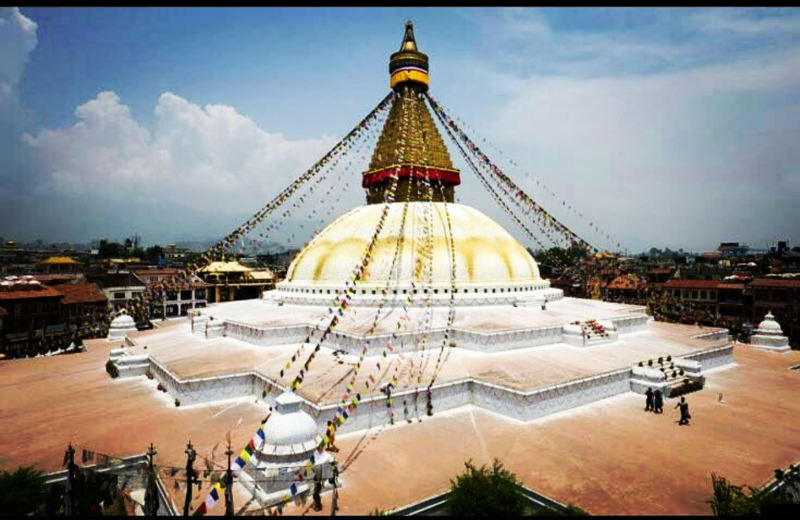 In this trip, you will be visiting the most prominent pilgrimage sites for both Buddhist and Hindu people of Nepal. Our package consists of total 11 days where you will be visiting all those sites with our experienced guide. Major places you will be visiting on this trip: Cultural Heritage Sites in Kathmandu Valley, Manakamana Temple, DevGhat, Lumbini, Pokhara, Bhaktapur, Namo Buddha and Patan. Getting to Kathmandu is an exciting and memorable experience. There will be our staff waiting for you at the airport. You will transfer to the hotel, check in and have some rest. In the evening, you will be visiting Pashupatinath Temple for Aarati. Aarati is one of the mesmerizing rituals performed at Pashupatinath. It normally starts at 6 pm, and you will be seeing many people being a part of the ritual. The main priests will be performing the Aarati by taking oil lamps and moving them in a circular motion. Also, you will be able to hear the bhajan sung by many devotees for the betterment of whole humanity during the ritual as well. Today morning, you will be heading to Manakamana. It takes 4 to 5 hours to reach Manakamana. After 5 hours’ drive, you will reach the entrance gate. You will need to get the cable car ticket. The cable car ride takes about 15 to 20 minutes to reach uphill where the main Manakamana Temple is located. It is believed that the Manakamana Goddess fulfills the wishes of all devotees, and hence it is called wish fulfilling deity. You will be seeing a crowd of people in a line to pay homage to the temple. From the temple, you can also see a beautiful view of mountains. After praying to the goddess and having some rest, you will take the cable car again and return back to the station. From there, you will be going to Riverside Spring Resort for an overnight stay. It is a nice place to relax. The resort has a beautiful cottage style rooms with superb swimming pool and is one of the best resorts for relaxation in Kurintar. Today morning, you will be heading towards Devghat. The journey is about 5 hours’ drive from Kuringtar. Devghat is located at the junction of Seti Gandaki and Krishna Gandaki River and is one of the holiest places in Hindu mythology, as well as a holy place for Hindu gods. It has many temples and caves of Hindu gods, goddesses, and saints including Goddess Sita’s cave, Radha Krishna Temple, Sita Ram Temple, Bageswori temple and many more. Hindu pilgrims bathe at the junction of the river, well known for its Saligram Sheela (holy stone). You will be visiting some of these temples today, and then head back to Chitwan. After breakfast, you will leave for Lumbini, the city known for being the hometown of Buddha. Devotees from all around the world come to Lumbini for pilgrimage. The main attraction place of Lumbini is the Maya Devi Temple where Buddha born was born. Inside the Maya Devi Temple, you can see the exact birth spot of Lord Buddha. Next, to the Maya Devi Temple, you can also see the holy pond where Queen Maya Devi took a bath before giving birth to Lord Buddha and Ashoka Pillar which was erected by King Ashoka upon his visit in Lumbini to indicate Buddha was born in Lumbini. Besides it, you can also visit several Buddhist temples and various monasteries offered by international delegations – Thailand, Germany, Vietnam, Cambodia and many more. Today, you will be heading towards Pokhara. The journey is about 6 to 7 hours’ drive from Lumbini. After you reach Pokhara, you will check-in at the hotel and have some rest. In the evening, you can go to visit Phewa Lake. In the lake, you can do water activities if you want like boating or kayaking upon your own interest. Pokhara is one of the major cities of Nepal, there are many places for sightseeing. Today, after breakfast, you will be spending the rest of day sightseeing. You can visit World Peace Pagoda which was built by Japan. From there, you can see an amazing view of Phewa Lake, Mountains, and whole Pokhara valley. Also, there are many other places that you can visit such as Davis Fall and Caves. Also, there are many other optional activities that you can do in Pokhara such as Mountain Flight, Paragliding, Zip Flyer and Bungee Jump. Today, after breakfast, you will be going to Bhaktapur which is also one of the famous UNESCO World Heritage Site. The journey is about 6 to 7 hours’ drive. Bhaktapur offers the traveler a somewhat surreal atmosphere, given its very bright Newari style and the tranquility of its alleyways. You will also be visiting the famous Durbar Square where you can admire the famous palace with 55 windows built in 1754, the Sunko Dhoka and the lovely Hindu temples, the Tanka school, the Tibetan Mandala, of which Bhaktapur is the capital of the world. Today morning, after breakfast, you will be driving towards Namo Buddha. Namo Buddha is one of the most sacred Buddhist pilgrimage sites in Nepal. It is located in a peaceful village. 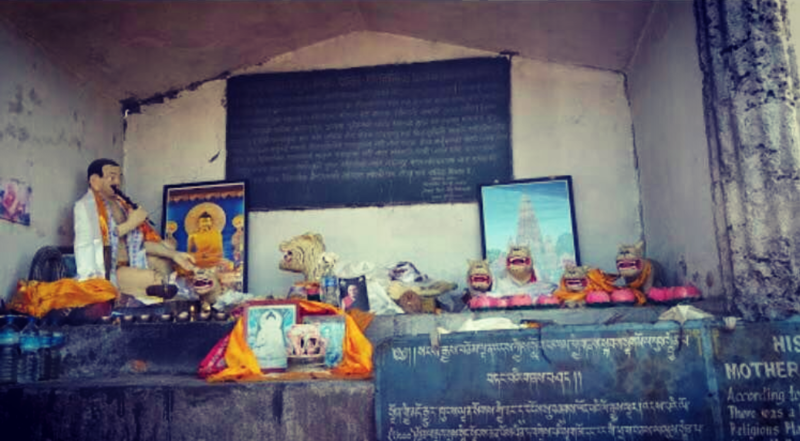 This is the place where Lord Buddha in his previous life as a prince of Panauti offered his body to a tigress and its cubs tormented by starvation. 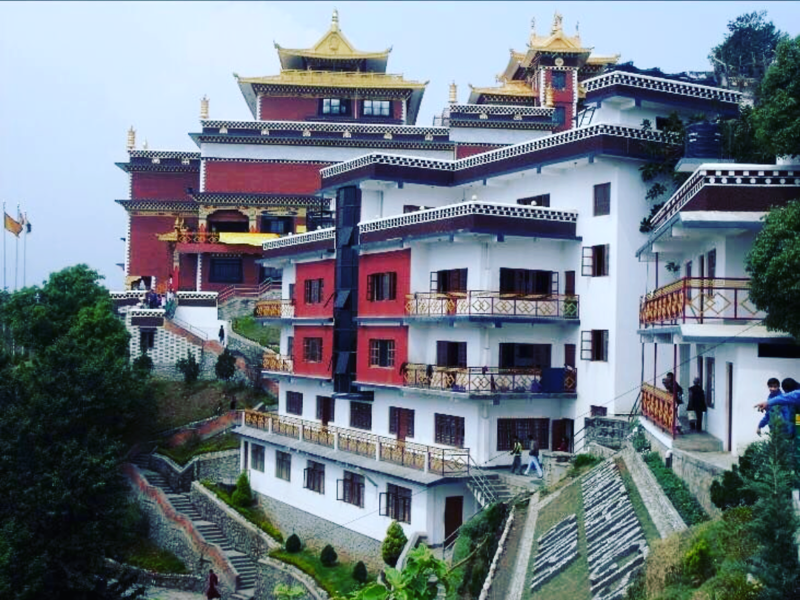 You can visit the Tibetan Monastery built by Thrangu Rimpoche. There are like two major spots in Namo Buddha which is related to Lord Buddha previous life. From the monastery, you need to walk upstairs for about 20 minutes, then you will find the statue of Buddha and the tigress. It is the exact spot where Buddha in his previous life offered his body to the tigress. Today morning, after breakfast, you will be driving towards Patan. It is about 2 hours’ drive from Namo Buddha. Patan is the oldest city in Kathmandu Valley and there are at least 18 ancient Buddhist temples to be found there including the Golden Temple, Ashoka Stupas, Mahaboudha, Rato Machhendranath and so on. After visiting the temples, you will go back to Kathmandu. In evening, you can walk around in Thamel and do some shopping. Your safety is of paramount concern while traveling with Himalayan Trailfinder. Please note that your leader has the authority to amend or cancel any part of the itinerary if it is deemed necessary due to safety concerns. Every effort will be made to keep to the above itinerary; However, as this is adventure travel in remote mountain regions, we cannot guarantee it! Weather conditions, the health condition of a member, unexpected natural disasters etc, can all contribute to changes in the itinerary. The leader will try to ensure that the trip runs according to plan, but please be prepared to be flexible if required.